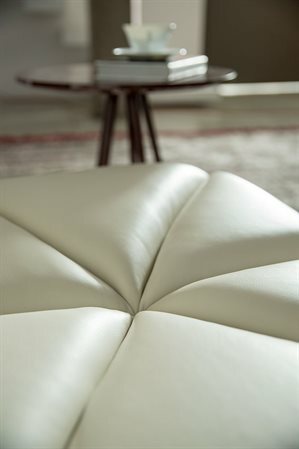 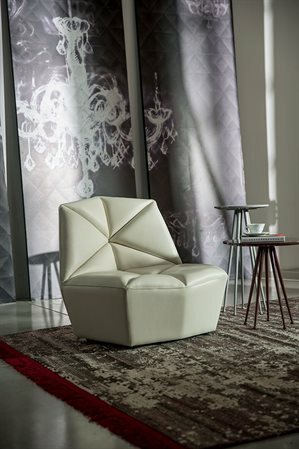 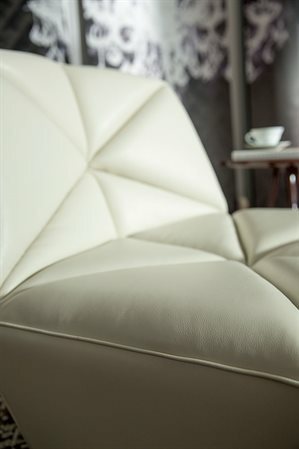 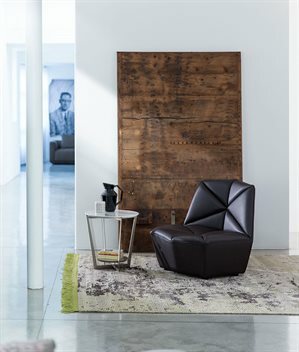 A modern armchair with ample padding, where the proportion and balance between the seat and back create a mysteriously fascinating style. 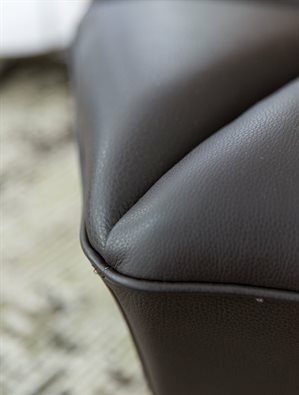 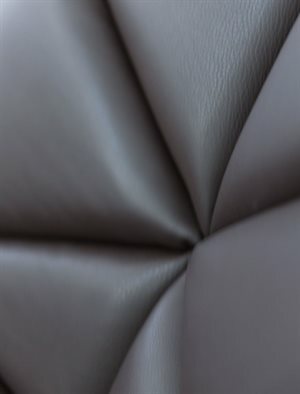 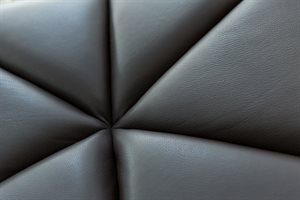 The special production of the padding recalls the oriental culture of origami, where the final, seemingly simple form, exalts a highly complex and refined working method. 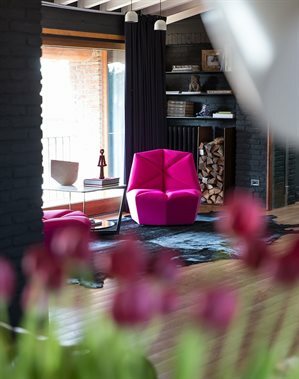 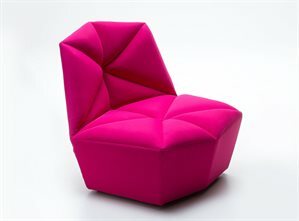 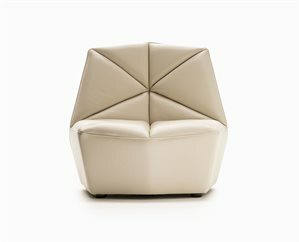 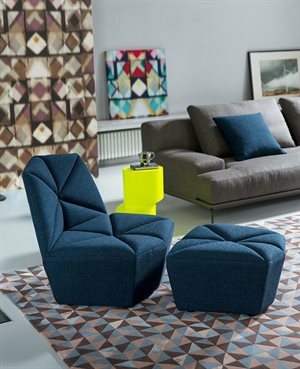 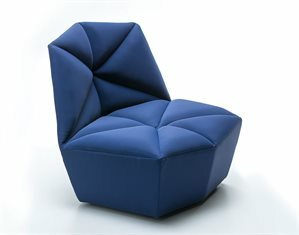 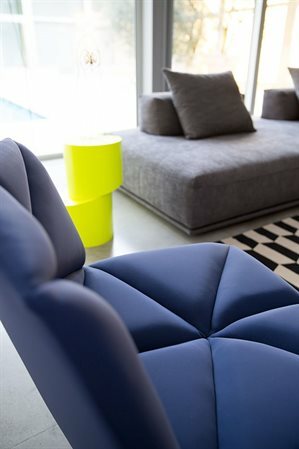 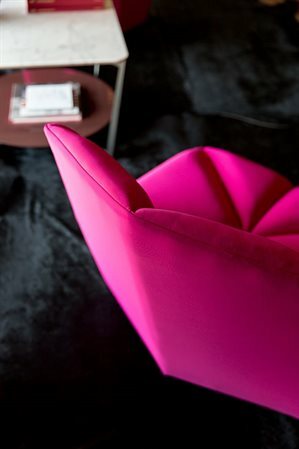 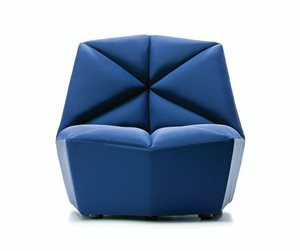 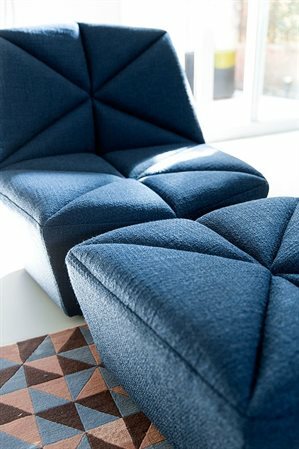 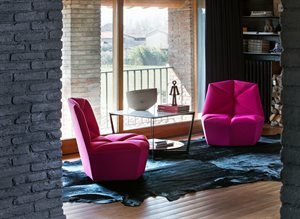 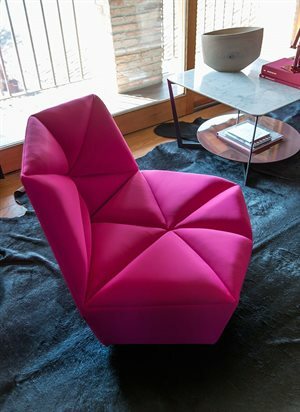 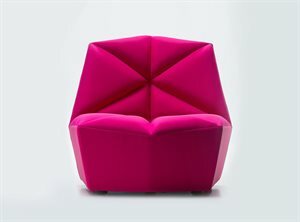 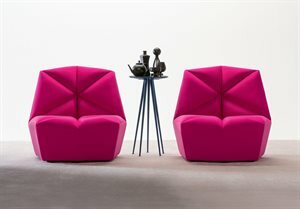 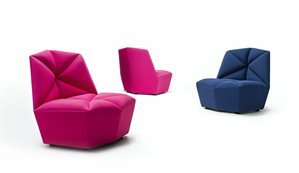 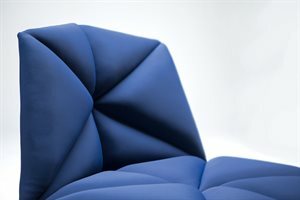 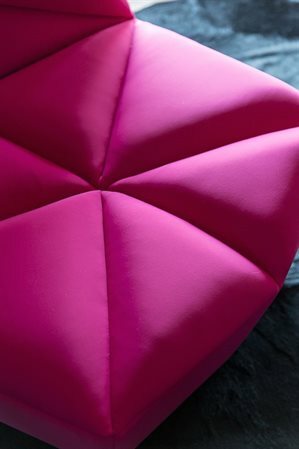 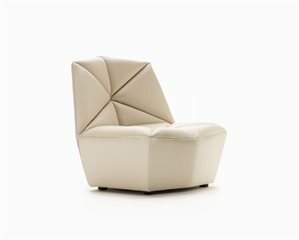 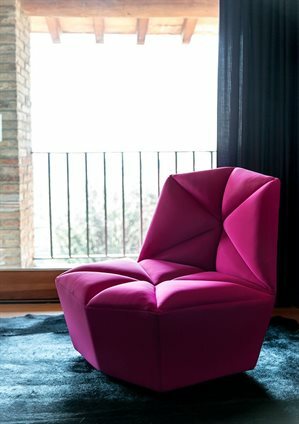 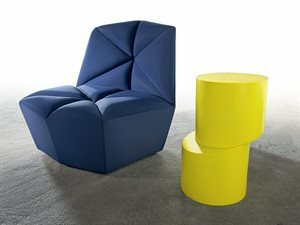 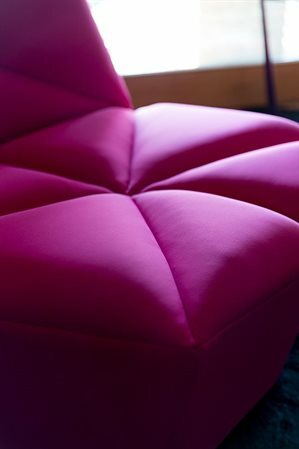 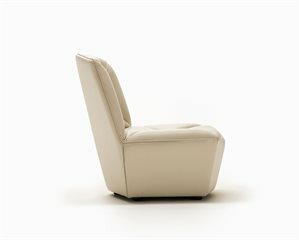 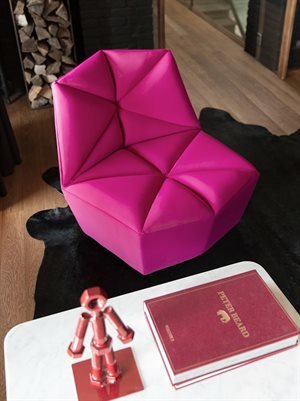 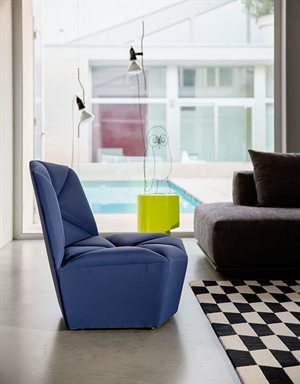 Embracing comfort for a very original armchair, an informal and contemporary item with distinct and bold colours. 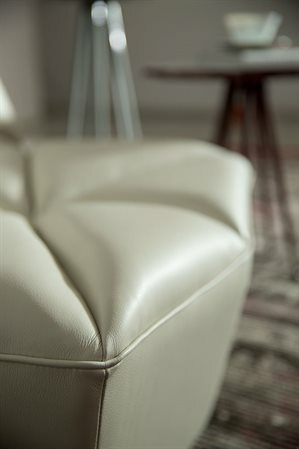 A perfect union between Alberta casual design and refined, contemporary finishes.